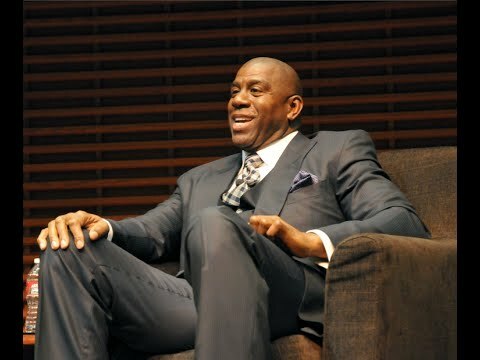 Following a legendary career during which he achieved every imaginable goal from a player's perspective and established himself as one of the NBA's all-time greatest performers, Magic Johnson is now making strides off the court as the Los Angeles Lakers' vice president. During his 12-year NBA career, he led the Lakers to five NBA championships and nine appearances in the NBA Finals. After announcing his retirement from the NBA in 1991, due to the HIV Virus, Johnson's immense popularity resulted in his being voted as a starter in the 1992 All-Star Game and later, chosen for the 1992 U.S. Olympic gold medal-winning basketball team appropriately named "The Dream Team". While Johnson may best be known for his prowess on the basketball court, he is also an entrepreneur with multi-faceted business interests. His latest venture develops commercial property in long-neglected minority urban and suburban neighborhoods. Earvin "Magic" Johnson has become the most powerful African-American businessman in the world. He is a Major League Baseball owner, an NBA Legend, a 2-Time Hall of Famer, an Entrepreneur, a Philanthropist and a Motivational Speaker. The business mogul has successfully parlayed his skills and tenacity on the court into the business world, propelling his company to the status of #1 Brand in Urban America. He is Chairman and CEO of Magic Johnson Enterprises (MJE), which provides high quality products and services that focus primarily on ethnically diverse and underserved urban communities through strategic alliances, investments, consulting and endorsements. 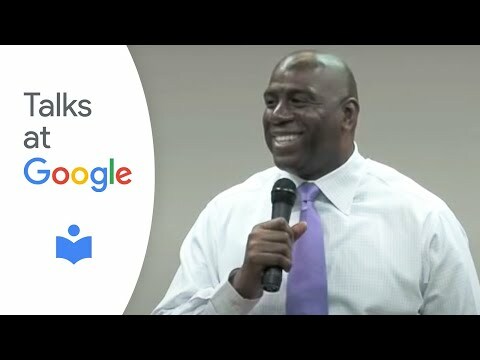 The conglomerate is comprised of multiple business entities and partnerships that include Canyon Johnson, a $1 billion dollar real estate fund, Yucaipa Johnson, a $500 million dollar private equity fund, ASPIRE, a new African-American television network, SodexoMAGIC, Magic Airport Holdings, , Inner City Broadcasting Corporation, Magic Johnson Bridgescape Academies, and Vibe Holdings, LLC - Mr. Johnson is the Chairman of the multi-cultural media company that houses the Vibe, Uptown, and Soul Train brands. Most noted for his unprecedented Starbucks partnership, which served as the catalyst for redevelopment in urban communities and is literally the blueprint for Corporate America's engagement and success with urban consumers. In 2010, the savvy businessman divested his Starbucks and Los Angeles Lakers shares in excess $100 million dollars. However, he will continue to assist Starbucks with their community development initiatives and will remain Vice President of the Los Angeles Lakers. Mr. Johnson has also teamed up with Tim Leiweke of AEG in an effort to build a new stadium and bring an NFL team back to Los Angeles as well as thousands of jobs to the city...The story of Mr. Johnson and Larry Bird's inspiring friendship and rivalry was presented in a theater adaptation of "Magic & Bird" on Broadway in April 2012.